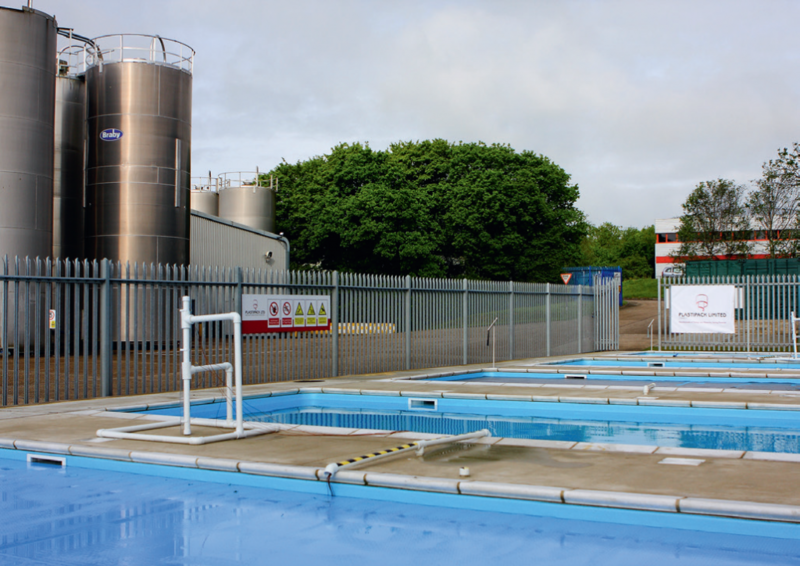 The Plastipack test facility comprises five outdoor 8m x 4m x 1.2m swimming pools located side by side. Plastipack, a world-leading manufacturer of specialist covering materials for swimming pools, has invested in a new state-of-the-art research facility at its East Sussex headquarters. A world first, the unique test facility comprises five outdoor 8m x 4m x 1.2m swimming pools located side by side. This allows Plastipack to accurately measure and compare the performance of different types of cover materials, while monitoring real-time water temperature and environmental conditions. “Our new outdoor laboratory will be invaluable in the development, analysis and comparison of high performance cover materials for pools,” comments Peter Adlington, Managing Director of Plastipack. “It increases our understanding of how products perform on real pools and will help Plastipack maintain market leadership through technical expertise. It adds credibility to product claims with publishable results and greater environmental monitoring which sets us and our products apart from other manufacturers. It also helps raise the importance and industry awareness of credible performance data,” he adds. The test area represents an investment of £100k at Plastipack’s St Leonards site, which currently employs 34 core staff. It was officially opened by Rt. Hon. Amber Rudd MP, Member of Parliament for Hastings and Rye, and Secretary of State for Energy and Climate Change.